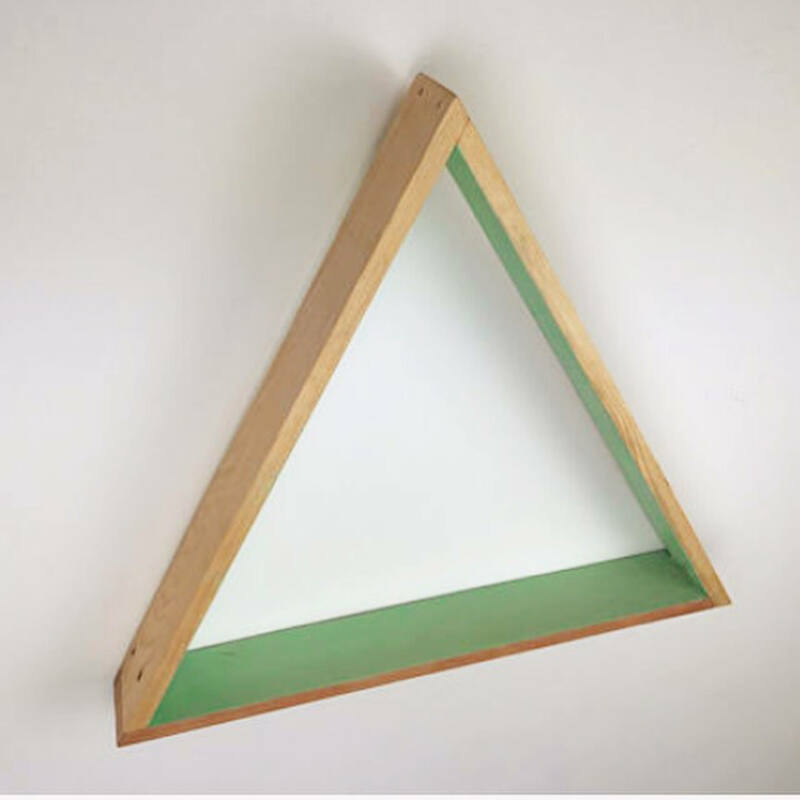 This triangle shelf is a cool and unique way of displaying your pictures, ornaments and curiosities! It is also a piece of art in its own right! 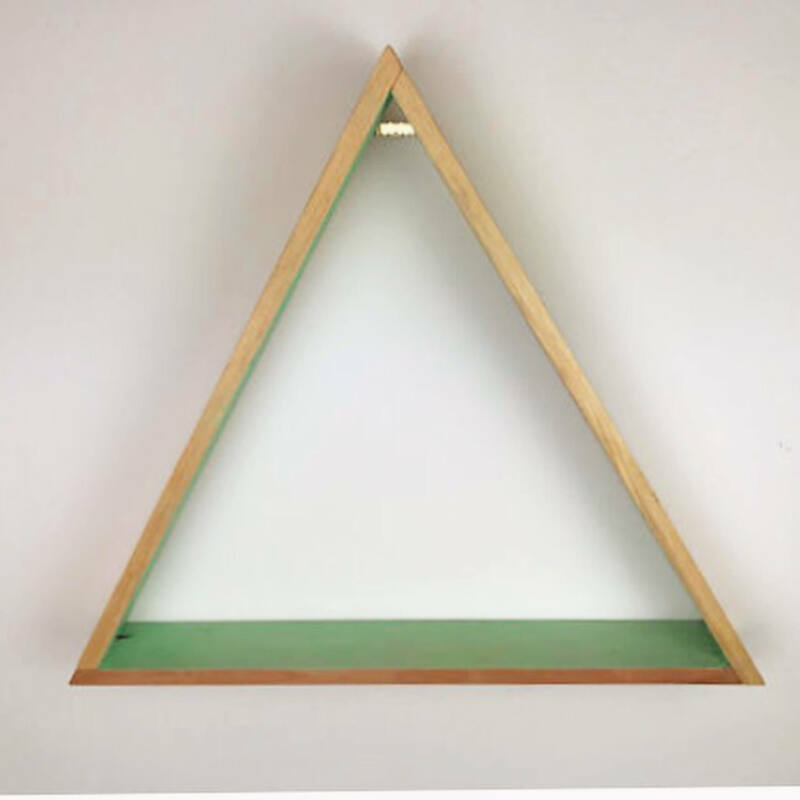 It comes with a fitted bracket so you can easily hang it on the wall. 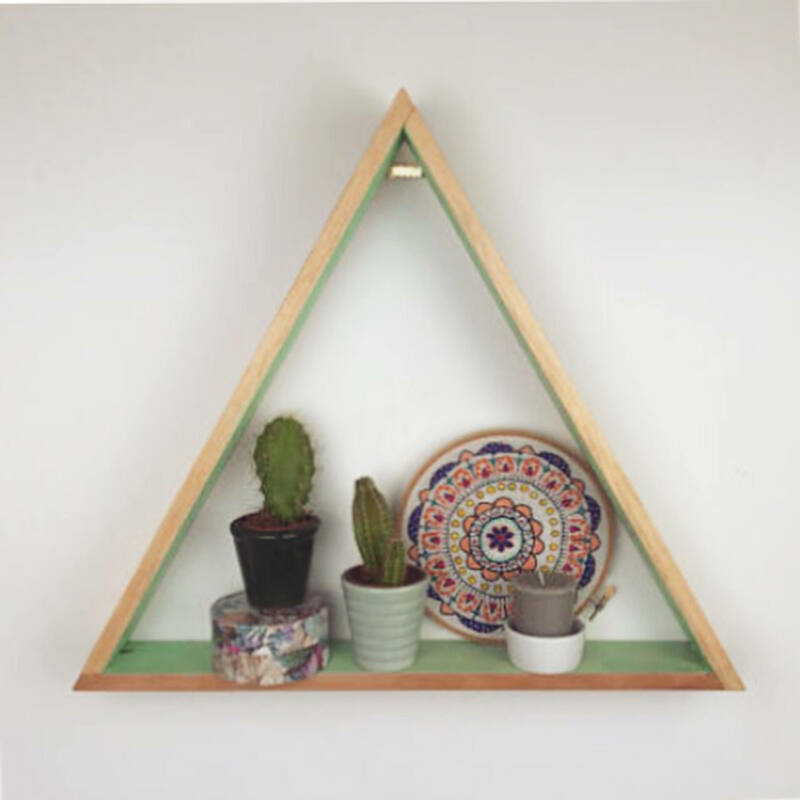 This shelf is a natural wood colour on the outside and is painted mint green on the inside. 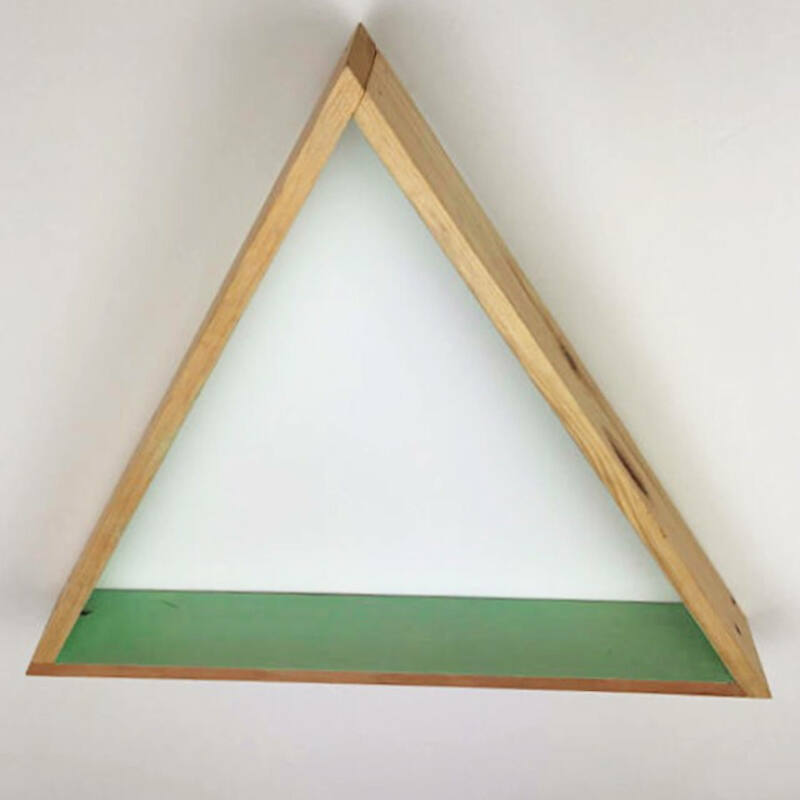 This great reclaimed natural material has its own story and will make a unique addition to your home!